So I have no actual content for today other then to share this awesome deal. 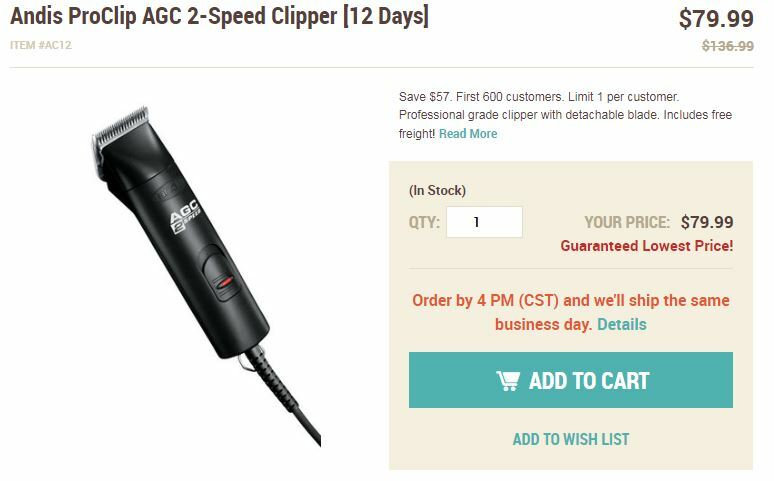 Jeffers has the Andis 2 speed clippers on sale today only, and if you use promo code Thanks16 you get another $8 off. $71 dollars is an insanely good deal for these clippers! I paid like $120ish and now I’m annoyed. Don’t be annoyed like me, get great clippers for a serious bargain. *UPDATE: Amanda is smarter than me and noted these are the regular 2 speed Andis and not the Supers. I use the supers. 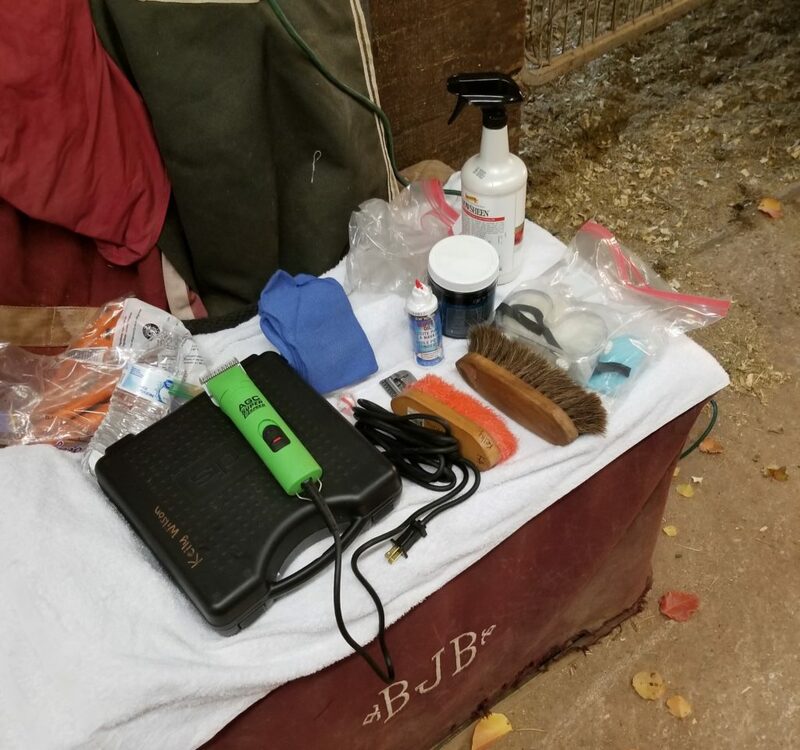 Still a good deal, but might not work for body clipping thicker/longer coats. Just fyi! Mine are green but I’d get black to save money! Big THANKS to Kelly C. for spreading the word on this deal! I have body clipped with this Andis 2 speed! It takes a lot longer than my new body clippers, but it’s doable (and they’re fantastic for precise trace clips).